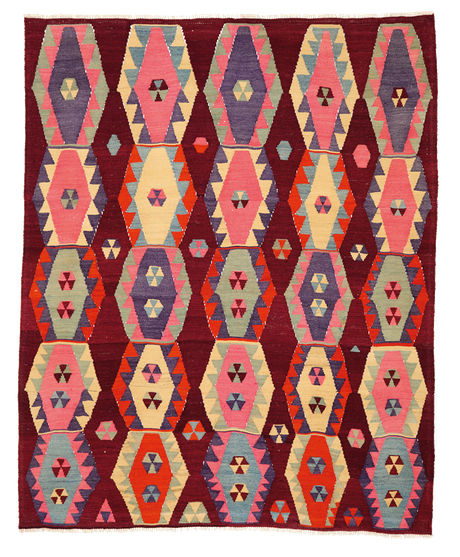 A great "funky-style" Ordu kilim, with large diamonds motifs and powerful colours. 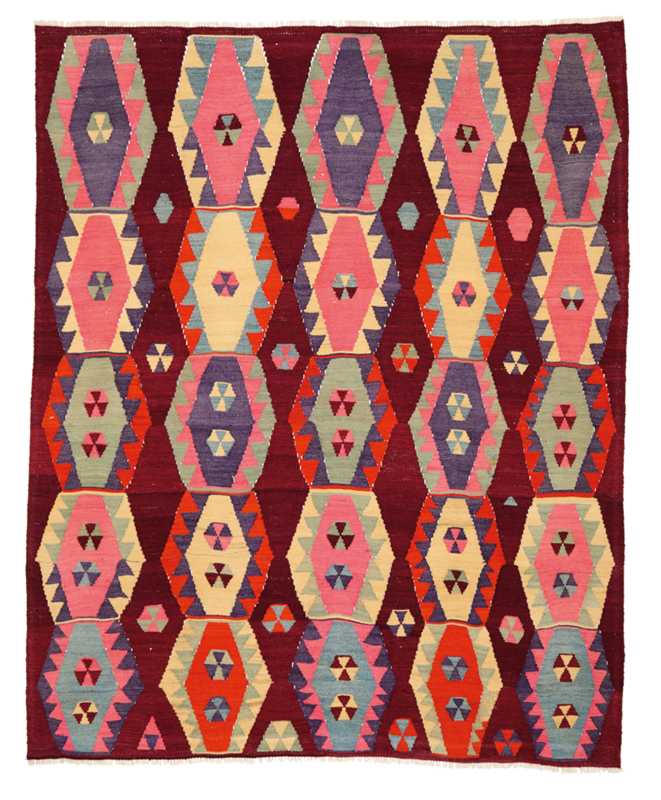 This piece has a nice colour mix that will bring energy to every space. The wool is sturdy and a bit loose.